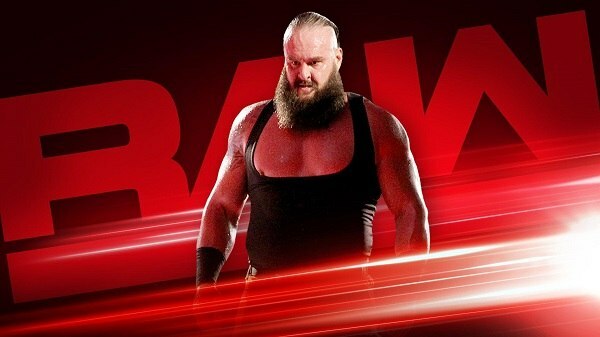 Can Kevin Owens evade Braun Strowman’s fury? After Braun Strowman trapped Kevin Owens inside a portable toilet and shoved it off the stage, Team Red braces for WWE Extreme Rules. Will The Monster Among Men continue to torment KO? Also, how will Roman Reigns repay Bobby Lashley after the powerhouse left him susceptible to a 2-on-1 Revival beatdown this past week? gross, and judging by Owens’ expression afterward, the incident stung more than his nostrils. would have fared better against The Revival this past Monday night if he had tagged in his partner, Bobby Lashley. prove they earned that moniker in a rematch against the warring partners. Lashley literally turned his back on The Big Dog. history, don’t be surprised if they get a little impatient Monday night. Will we see any progress from Bayley and Sasha this week, or are the one-time BFFs even worse off than before? have a chance to prove what he can truly do when he battles The Constable. The Extraordinary Man at bay? can u say which stream. stream 1, 2 & 3 going fine, click switch server if uve issue or ctrl + refresh page. steram 1 should be in 16:9 now. stream 3 will be fastest today. 5p hd & first few 3 parts hd versions are always 60fps. Sir last week I upload one segment of RAW on my youtube channel and it caught copyright but no viewing restriction.What does it mean. For youtbue, If i know how to fix it i wouldve tried it already, mail via contact us page, other admin might know about it. Sir once again thanks for openload rar parts.But do not delete it . its a single file, dl all 3 rar files, open part 1, extract the file thats it ull have full show. u need winrar or 7zip installed to open rar files.